About a year ago, we reported on a supposedly leaked timeline that revealed Disney’s plan for when each Star Wars movie—including the standalone spinoffs—would be released. This timeline also claimed that the first of those spinoffs would be a movie dedicated to everybody’s favorite bounty hunter (other than the supremely awesome IG-88), Boba Fett. In March, though, Disney announced that the first standalone movie would be titled Rogue One, and we now know that it centers around a team of Rebels stealing the Death Star plans. But what about poor, old Boba Fett? Would he never get a movie of his own? Would we be forced to use his appearances in Attack Of The Clones and the Clone Wars cartoon to explain how a stupid kid in a blue tunic became a cool dude with a jetpack? 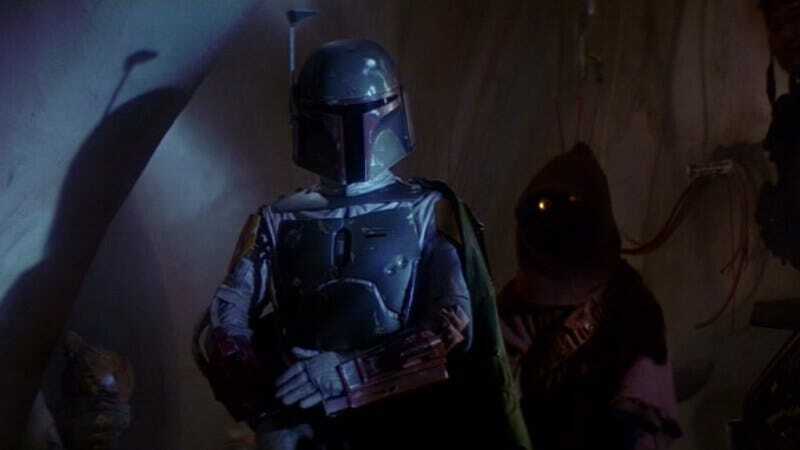 Luckily, no, because the second standalone Star Wars movie will be about Boba Fett. That comes from The Wrap, which says the movie will be released in 2018, but it doesn’t give away any plot details that will—fingers crossed—reveal some kind of retcon that explains how Boba Fett survived his apparent death in Return Of The Jedi. Also, the timing of this news should certainly not be seen as a way for Disney to distract us all from the fact that Josh Trank—who would’ve directed this Boba Fett movie—quit over the weekend. It’s merely a coincidence that this exciting, fan-service-y reveal is happening a few days after reports came out that bad things were happening behind the scenes. Don’t think about that, though, think about Boba Fett! Isn’t he cool? He has a flamethrower on one of his arms!